Telus Corp. sent a memo to employees last week, sticking by its work with Huawei, the Globe and Mail newspaper reported. The memo was signed by Eros Spadotto, executive vice president of technology strategy at the Vancouver-based company. Telus spokespeople didn’t immediately return requests for comment from Bloomberg on Saturday. Canada is currently conducting a security review ahead of a rollout of 5G technology, including whether to ban Huawei. China’s ambassador to Canada, Lu Shaye, warned this week of repercussions if Canada did that. 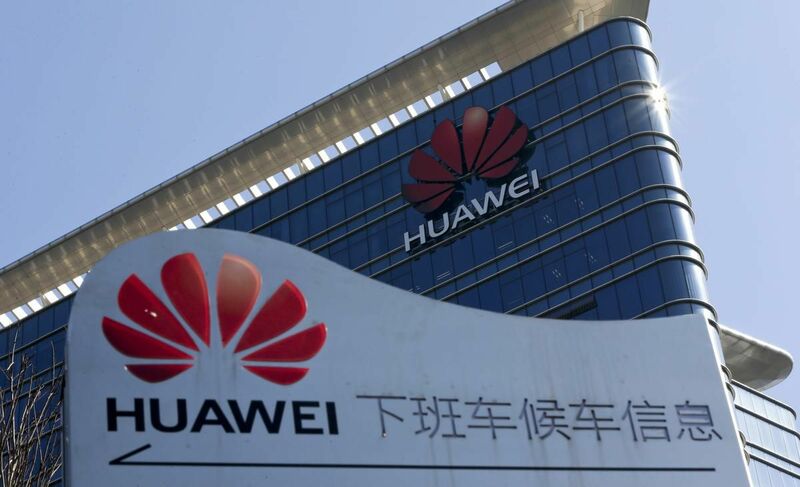 Other so-called Five Eyes countries including the U.S. and Australia have placed restrictions on Huawei’s operations given its close ties to the Chinese government, moves that place pressure on Canada to make a decision. The order, which hasn’t yet been presented to the president, would not mention companies such as Huawei or ZTE Corp. by name and would not outright ban U.S. sales by the firms. But it would give greater authority to the Commerce Department to review products and purchases by companies connected to adversarial countries, including China, one of the people said. In the Telus memo, Spadotto says the company has worked closely with the federal government to address security concerns. The note says a Huawei ban would undermine the investments Telus has already made in its existing networks. Huawei is the third-biggest supplier to Telus, according to supply chain data compiled by Bloomberg. The Chinese firm has also worked with BCE Inc.’s Bell Canada. Royal Bank of Canada analysts expect Huawei to be barred from the 5G network in Canada but not existing ones. “We would expect any such boycott and subsequent ‘rip and replace’ to apply to 5G equipment only, leaving most 3G and 4G equipment intact,” RBC Capital Markets analysts Drew McReynolds and Caleb Ho said in a note this month. Canada, at the request of the U.S., arrested Huawei chief financial officer Meng Wanzhou in Vancouver in December, triggering a rising feud with China. China then seized a pair of Canadians, including a former diplomat, and has sentenced a third to death. Prime Minister Justin Trudeau, speaking Friday during a news conference in Sherbrooke, Quebec, again criticized China’s “arbitrary” capture of the two Canadians, and the death sentence for a third — a penalty the U.S. has called politically motivated. Trudeau also criticized close ties between Huawei and the Chinese government.